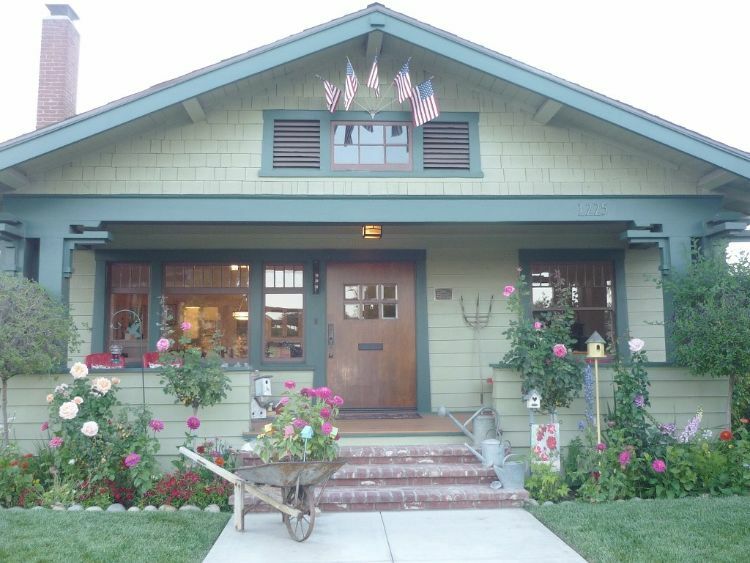 Not too far away from 'the happiest place on Earth' lies a wonderful world of Craftsman history. Focus your attention to Anaheim, California. 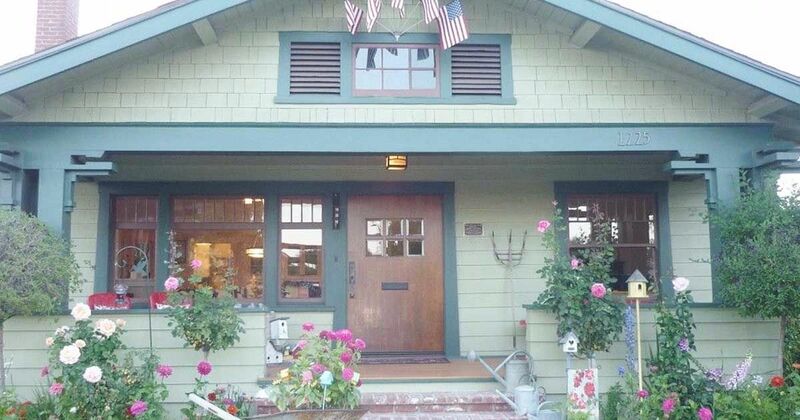 Here you will find a 1911 Craftsman home that presently serves as a vacation rental for Disneyland visitors. Known as the Emile Boege House, it holds a special place in Anaheim history, as it was built in an area owned by one of the city's original settlers. If that's not a remarkable fact on its own, you'll love this: this house has a few awards under its belt. 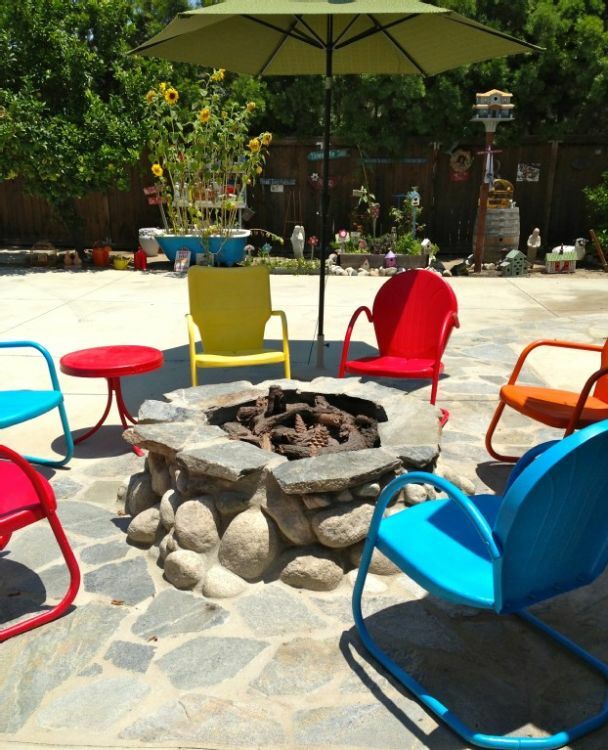 Previously, it was crowned the winner of the 2008 Anaheim Beautiful Award, and was one of the top contenders of the 2011 Anaheim Historical Society Home Tour. With impressive credentials like these, it's hardly any wonder that we're compelled to take a closer look. 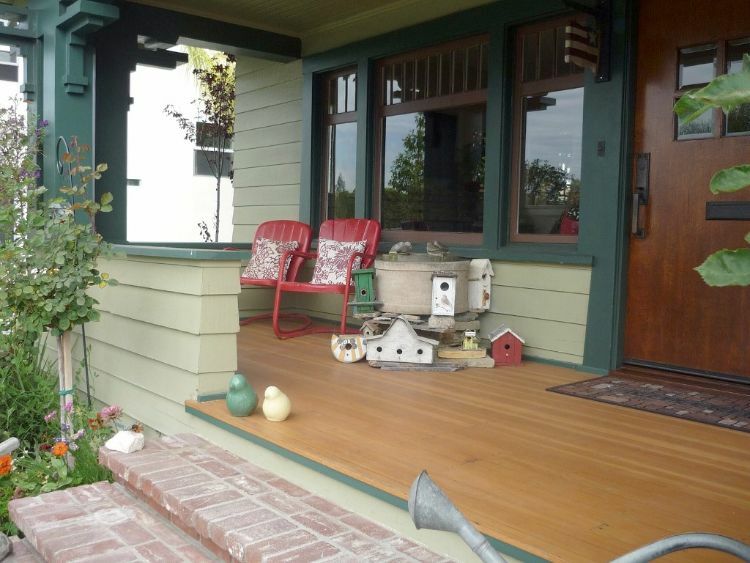 Right off the bat, this house impresses us with its fresh Craftsman exteriors and landscaped yard. 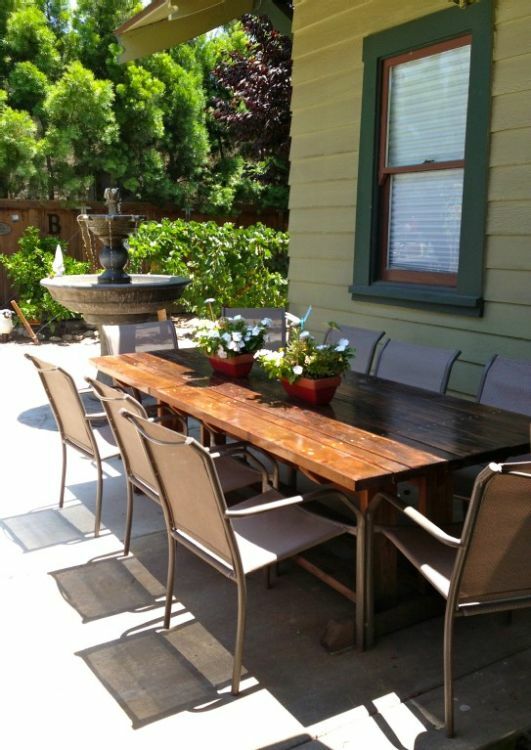 A wooden porch with a water fountain inspires us to admire the outside views and the birds flying on by. Of course, the fun doesn't stop at the front door. A splash of vibrant reds along the furnishings and fireplace mantel livens up the lush living area. Given this is a family getaway, there was bound to be a bit of playfulness in the midst. 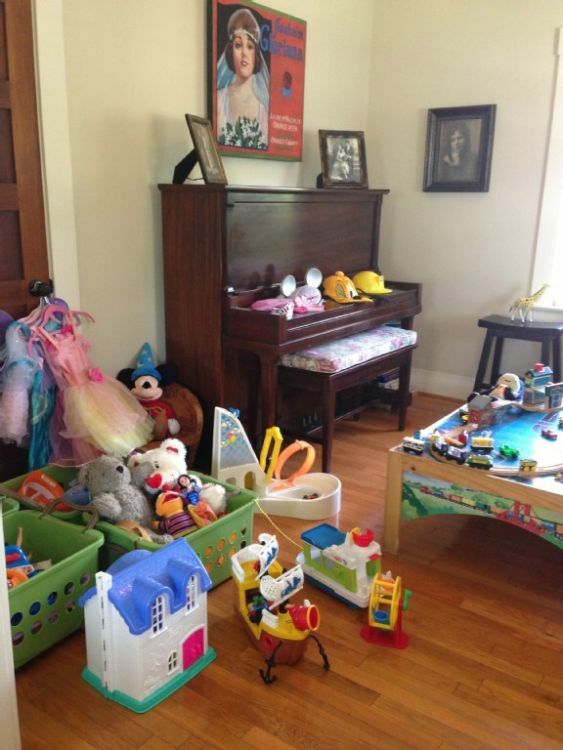 There are plenty of toys and games in this special corner of the house to keep the little ones entertained. For those who crave some finesse with their vacation, the dining room will keep you satisfied. A charming dining table that sits nine people is endowed with a wholesome aura by its accompanying lighting fixture. Another fun fact for you: the oranges and lemons you see on the table would have come from the backyard orchards - where you'll also find lime, grapefruit and magnolia trees. 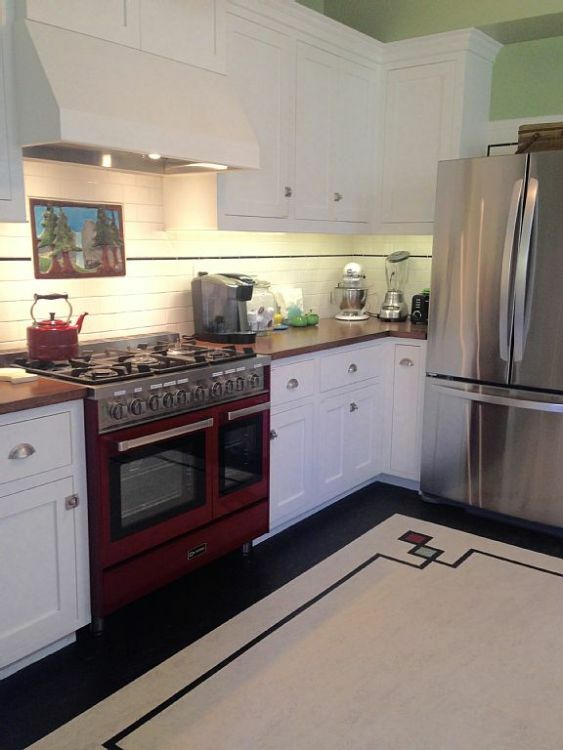 In the kitchen, the red oven nicely contrasts with the gleaming cabinetry and stainless steel appliances. 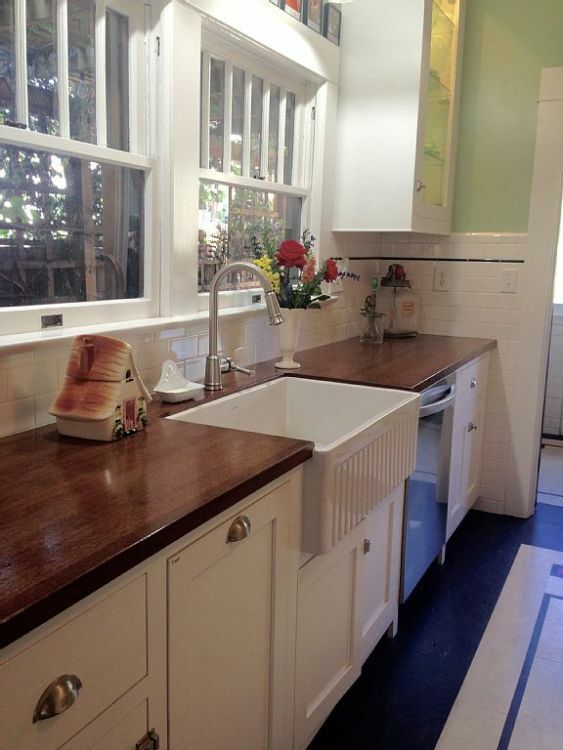 A darling gnome house on the butcher-block counter will delight you during your culinary endeavors. 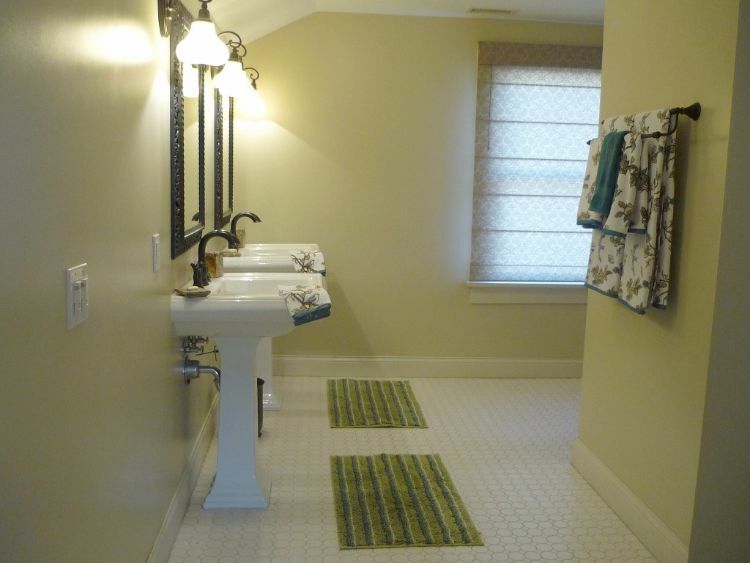 This is the downstairs bathroom, one of two in this house. 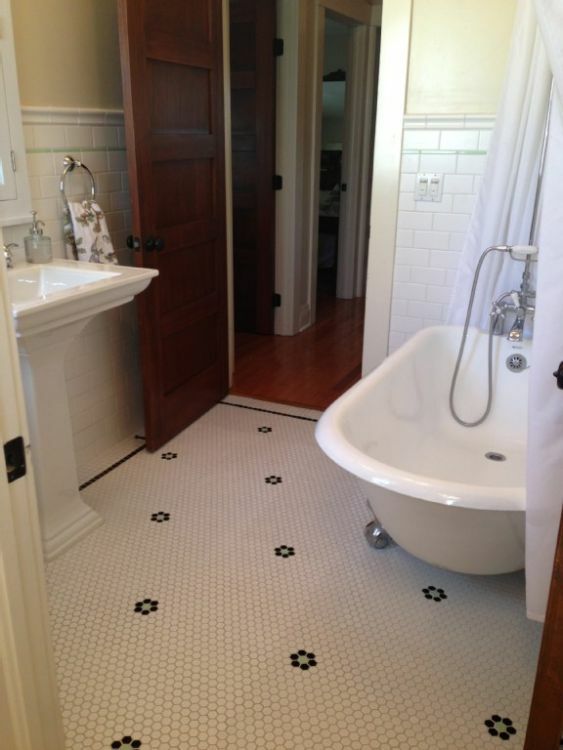 Flower patterns on the floor exert a special oomph to this demurely-decorated area. 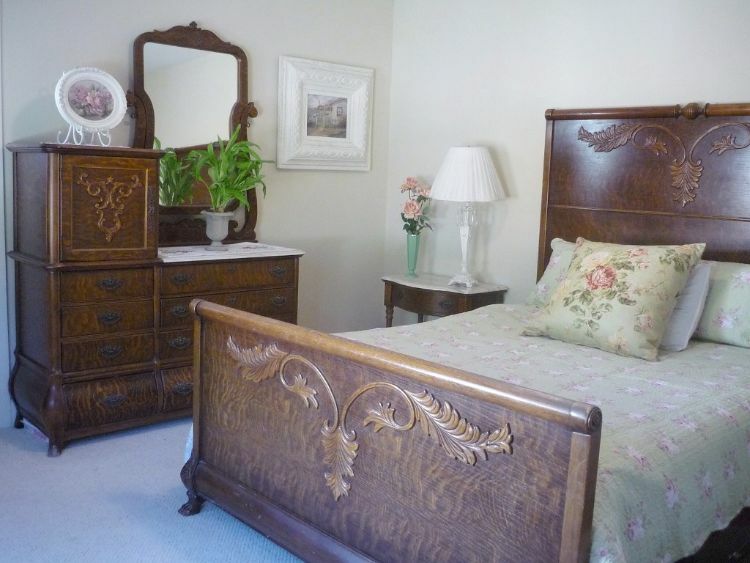 This majestic bedroom boasts historic bedding and a matching chest of drawers. A fairy tale atmosphere is sustained in this room through its green pillows, cushions, and linen. Similar motifs are eminent in the master bathroom - an area that appeals to traditional conventions with its 'his and hers' vanities. 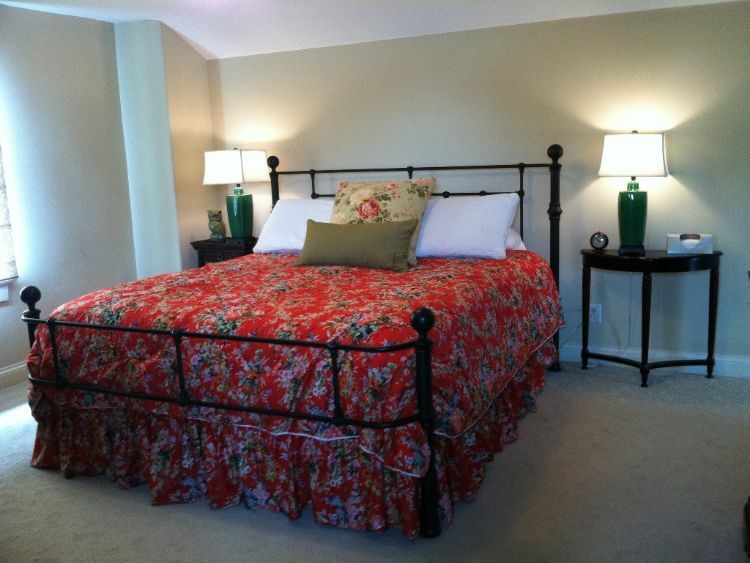 The master bedroom is more modern by design, bringing us some queen-size comfort with a dash of contemporary decor. 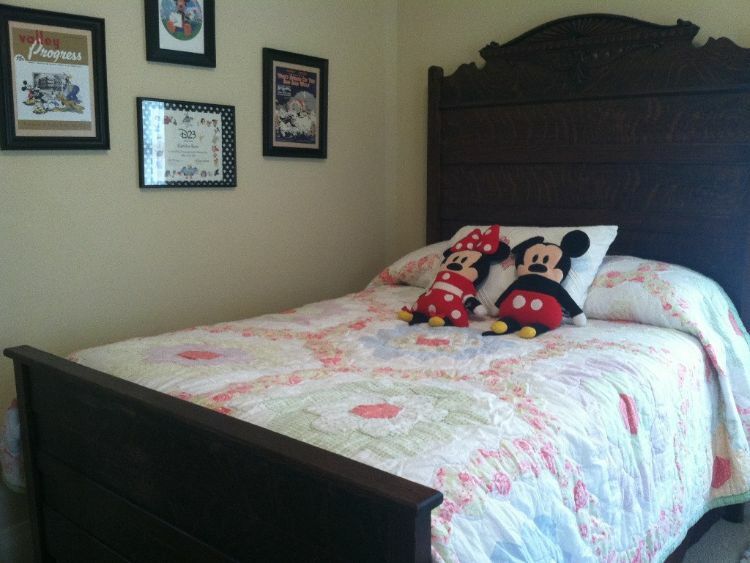 Naturally, the children's bedroom holds true to the Disney dream. 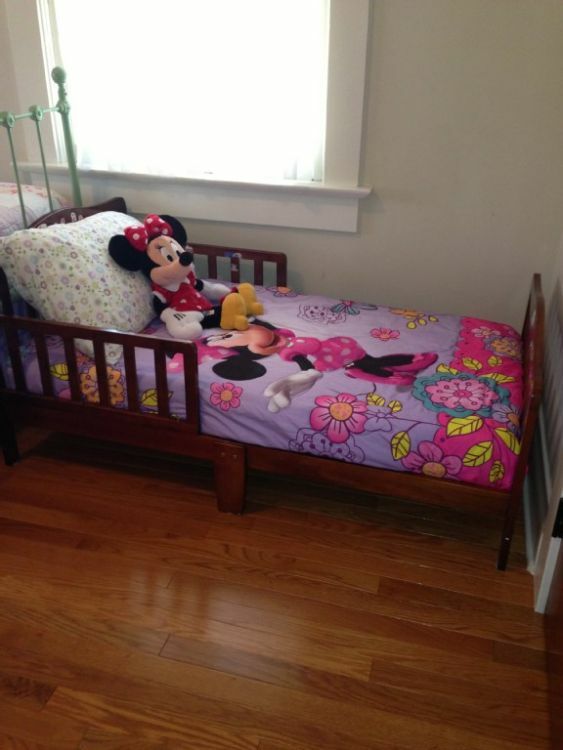 From a large antique wooden bed, destined for the eldest Mickey and Minnie fan. To a smaller, twin-iron bed for the middle child who feels like snuggling up to some delicate quilting. 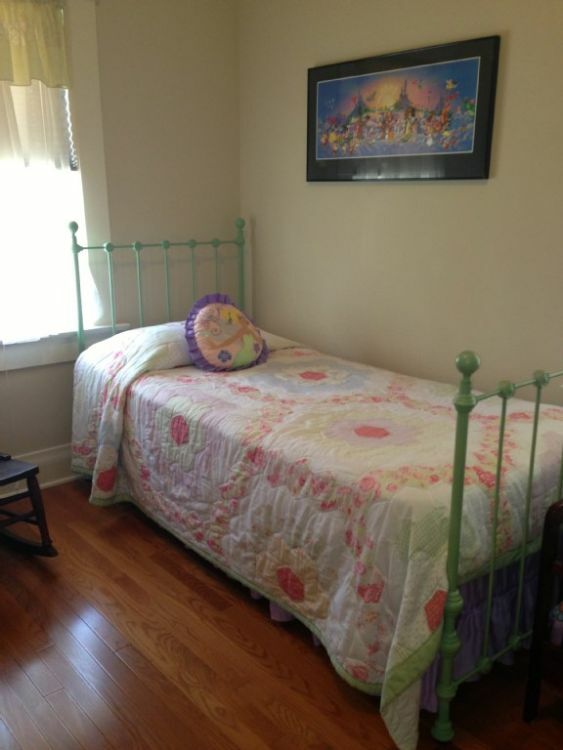 And a toddler's bed fit for a little princess. We're not quite finished yet. It wouldn't be fair to talk about this Craftsman without paying a visit to its stunning backyard. 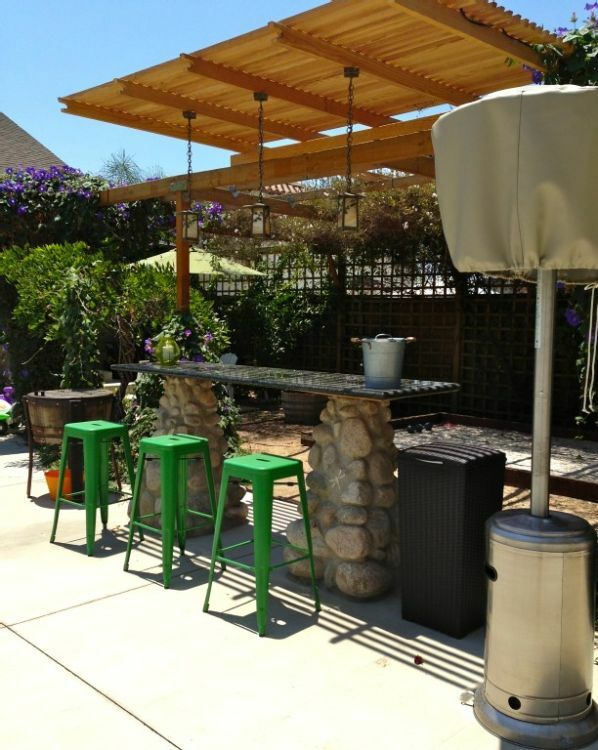 With a bar area and grill right within reach, you don't have to stray too far from this vacation rental to feel like you're staying at a summer resort. 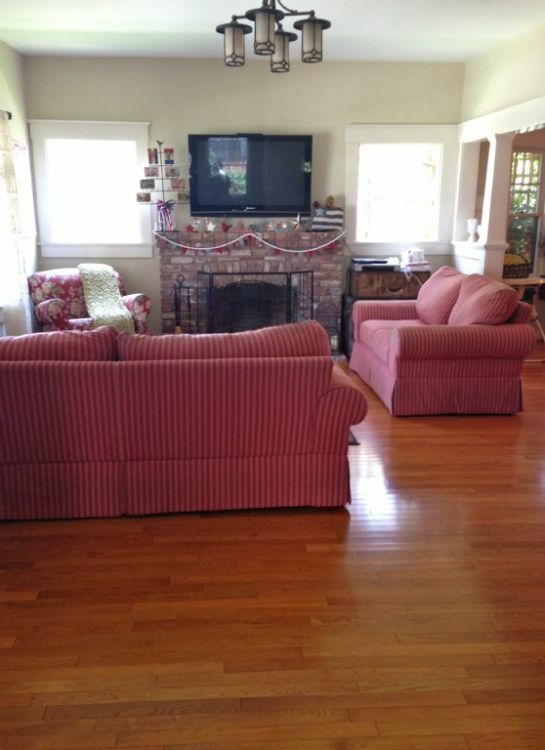 There's even a fireplace to help you relax after a fun-filled day with the entire family. 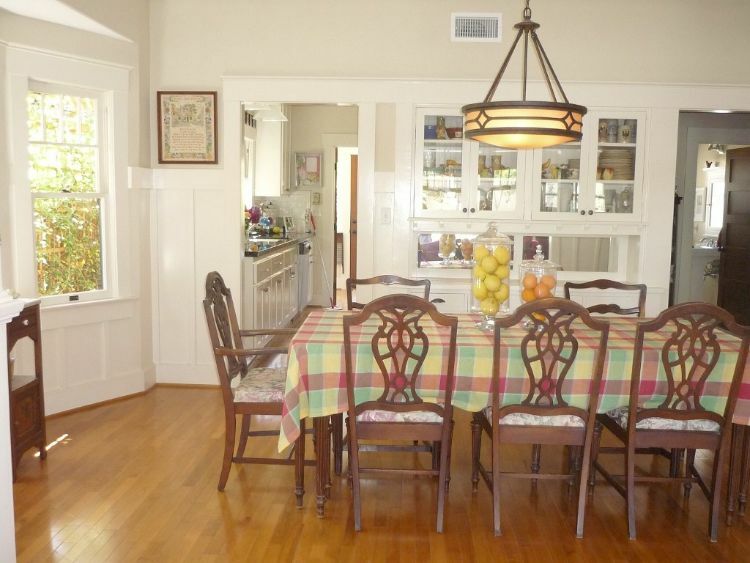 A lot of dedication has gone into making this historical Craftsman a pleasant vacation home. With so many interesting features on show, the Emile Boege House is as much of an attraction as the world-famous theme park that entices people to it.